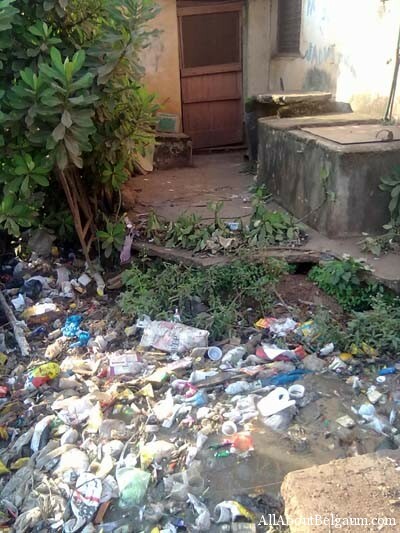 A Citizen from Camp forwarded these images of the well kept sanitation condition in the Cantonment area. 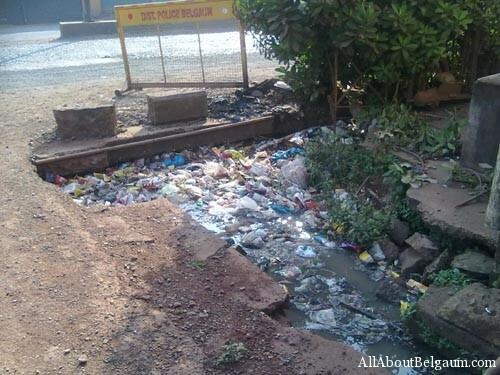 See the drain which is Opposite Camp Police Quarters, Church Street adjacent to Khanapur Road. The Cantonment Board has made little efforts to improve the situation and initiate the cleanliness drive but now this is the state. The Cantonment Board demolished a gate and a portion of the compound of the house about 5 to 6 months ago in order to avoid the overflowing of the gutters. When the authorities are asked as to what will be done they put the blame on the PWD and at the end nothing is done. The dirt collected there is causing foul smell, breeding of mosquitoes. This may further lead to more health hazards around this place. Well if we really rome around the city we will more then thousand cases as shown here.My personel suggestion to all our Corporaters ,Mayur and Dept Mayor rather then fighting on border issue concentrate on these kind of things which will really keep your image always in good. i have seen Depty Mayors interview on Star Marathi she was talking in RAWADI language on Kannadigage.